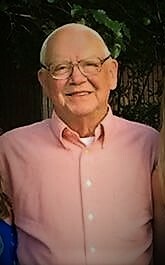 Mr. Sonny Ray Myers, age 79, of Lanett, Alabama passed away on Friday, February 1st, 2019 at the Cancer Treatment Center of America in Newnan, Georgia. Mr. Myers was born in Hamilton, Georgia on July 10th, 1939 to the late Willie A. Myers and Essie Hale Myers. He was preceded in death by his wife, Sarah Ogle Myers; siblings, Dot Gooden and Roxie Adamson. Mr. Myers was a member of the Calvary Baptist Church. He worked for the West Point Foundry for several years and went on to work for Sims Machinery, until his retirement. After his retirement, he worked for King Ford driving and delivering cars. He also enjoyed gardening. Mr. Myers was a very Godly man who loved his children, grandchildren, and great-grandchildren. He is survived by his children, David Myers, Lanett, Wanda Myers, Lanett, Leslie (Travis) Perdue, Lanett; grandchildren, Daphanie Hurst, Tracy Myers, Dawson Myers, Hunter Myers, Amber and Mitchell Turnham, Dylan Perdue, Jarod Perdue; great-grandchildren, Bailey Hurst, Andi Hurst, Chesnee Hurst, Mason Turnham, Madison Turnham, Braxton Myers; siblings, Shirley Turner, Margie Carson, Herman (Cheryl) Myers, Buck Myers. Funeral services will be held on Monday, February 4th, 2019 at 2:00P.M. EST at the Johnson Brown-Service Funeral Home Chapel in Valley with interment following in Fairfax Cemetery. The Reverend Jim Abbott and the Reverend Todd Quintard officiating. His family will be receiving friends at the funeral home Sunday evening from 6:00P.M. EST until 8:00P.M. EST. Flowers will be accepted or the family suggests that memorials be made to Calvary Baptist Church or to the Cancer Treatment Centers of America online at https://secure3.convio.net/demand/site/Donation2?df_id=7963&mfc_pref=T&7963.donation=form1. Please visit his Memorial Tribute page at www.johnsonbrownservicefh.com to leave a condolence for his family, share a memory of Mr. Myers, or to light a Remembrance Candle in his memory.